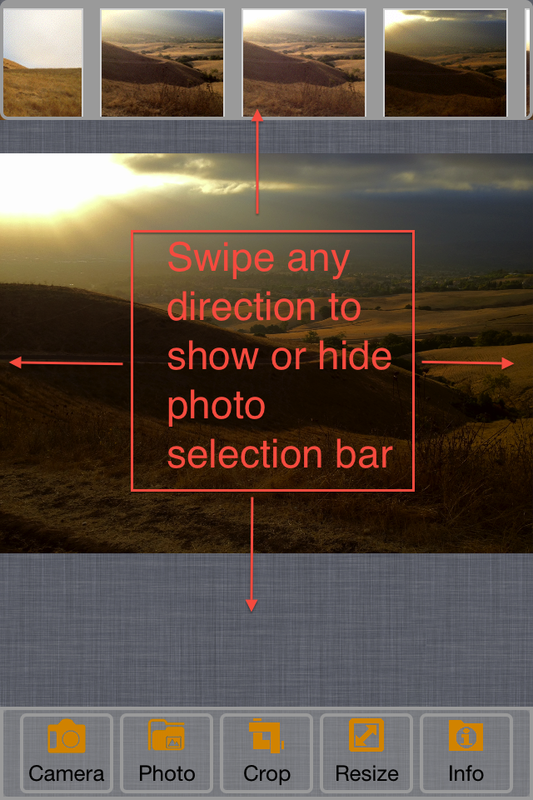 New=>Horizontal Photo Selection Scroller. Crop with locking custom aspect ratio assist. Optimized for with 4” retina display! Support big pictures and large images. Please tell me how to maintain the same DPI when I enlarge a photo!?! Normaly when I enlarge the photo, if the original DPI is 180 it came down to 72. 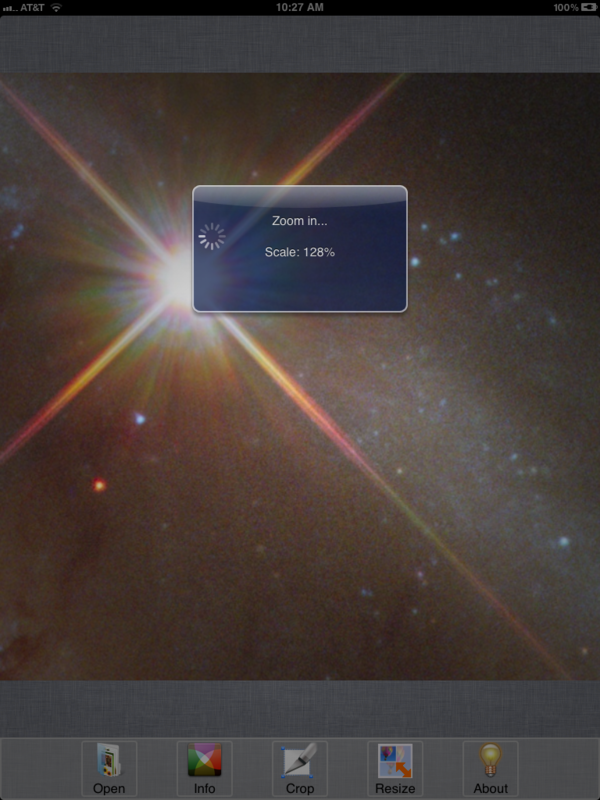 But I want that it remains at 180 after enlarging! How to proceed???? iOS/Mac OSX standard input/output DPI is 72 for best display. 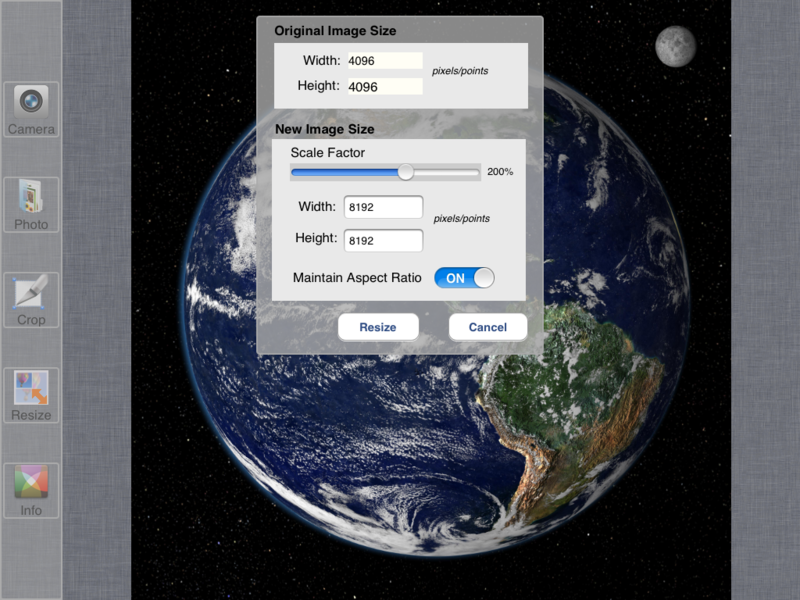 However, if your image source is not iOS devices or Mac, it is possible to have different DPI. We will investigate your problem to make sure DPI intact. Hello, thank you for developing this interesting software. Yesterday I find and buy the APP. The Zoom function is very useful to me. In view of some of my work needs, I hope you can add a function: After the picture enlarged, there is a button to lock screen, any other operations will not move the picture. Is that ok? I am writing to give feedback. 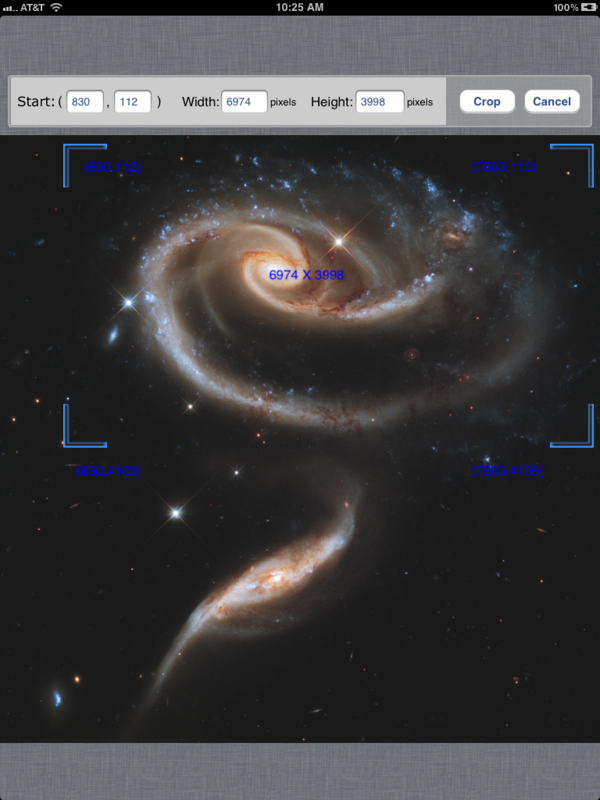 I have found that when I crop a picture using BigPhoto, a thin white line appears along the bottom. This means I have to re-crop the image in another app to get a clean edge. 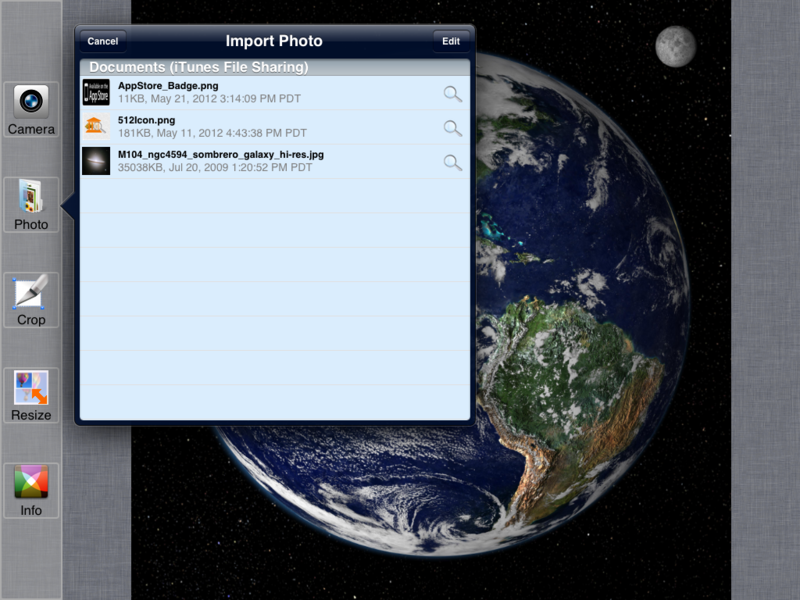 I think BigPhoto is a wonderful app, which I use daily and have praised it in the App Store and will continue to do so. Thanks for feedback. We will fix this issue if we can verify. 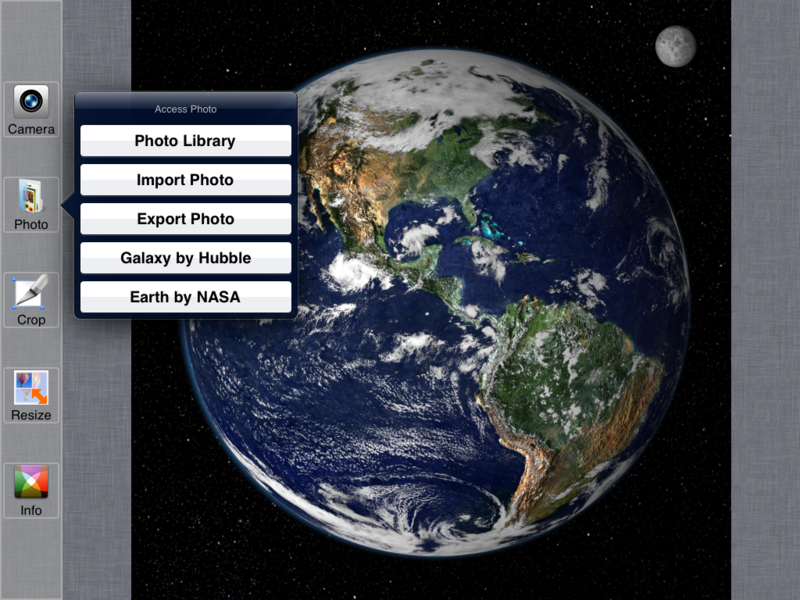 I used BigPhoto on another image tonight, cropped it and there was no problem. Went back to last night’s image, the one where I spotted the white line, and cropped it. Again no problem. I believe now I must have made a mistake, or if there is a problem it is intermittent. I am sorry if I have wasted any of your time on a fool’s errand. I’ll do more testing before speaking out next time. How can I keep full EXIF info in the saved BigPhoto image file? I see there’s the option to save the ‘photo info’ to the pasteboard, yet I can’t see (within the app itself) how to paste it somewhere to *keep* it. Hey–thanks for that! My mistake–I was working on several versions of a photo and must’ve selected one w/o EXIF that I’d derived from a PNG, accidentally. Or .TIFs, if we’re talking EXIF. In Big Photo app Settings menu, there is a “Save Alpha” switch. If you turn it on, all operations (except Crop-Preset) will save the result as PNG if needed, meaning if the original image has alpha channel or some transparency. For crop, if you still include alpha, the custom mode will keep it. Thanks for your time and help–wow.